Samsung semiconductor head Kim Ki-nam today announced that the company will begin work on 14-nanometer processors for partners such as Apple, Qualcomm, and AMD before the end of 2014, reports ZDNet (via 9to5Mac). The comments indicate that Samsung will produce Apple's next-generation A9 chip to be used in next year's line of iPhones and iPads. 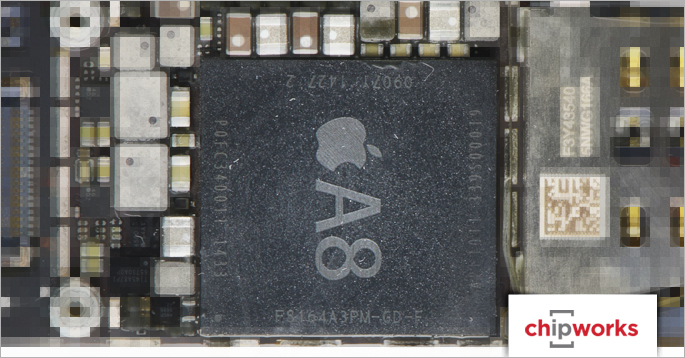 Currently, the iPhone 6 and 6 Plus use the 20-nanometer A8 processor. It is also likely that the forthcoming iPad Air 2 and second-generation Retina iPad mini will utilize Apple's A8 chip. The report also states that Samsung is producing around 30% of the total volume of Apple's A8 chip, while TSMC is handling 70% of the production load. Teardowns of the iPhone 6 and 6 Plus revealed A8 chips that were manufactured by TSMC, although it is possible that a select number of shipped devices contain chips produced by Samsung. Last year, it was reported that Apple signed a contract with Samsung to handle 30% to 40% of total A9 chip production, while TSMC would be getting the rest of the production load. A report from August stated that TSMC was ahead of schedule with its new 16-nanometer process, which was said to be for Apple's A9 chip. However, these latest comments from Ki-nam may indicate that Korean company has already won the bid to produce the A9 with its upcoming 14-nanometer process over TSMC's proposal. Why not do a Microsoft and call it A10? 50% more power efficient which means...AN EVEN THINNER PHONE. I really hope they don't go any thinner. This nonsense of making something super thin is driving me crazy. How about working on those fat bezels? Tell me about it. The beauty of the ip6 being thin is totally marred by those god awful 2010 bezels. I'm a huge proponent of thin, but I think we've reached a point where we don't need thinner, we need smaller form factor versus screen size. I wonder how many of you all complaining about thinness, as if it's a negative, have ever had to carry around a flip phone or a treo. Those things were simply uncomfortable to carry around. The iPhone 1 changed all that for the better, and the trend is merely continuing. Perhaps put a case on it, if it's so troubling. If you look back to 2010 - the iPhone 4 - you can see there is quite a considerable reduction in bezel between the 4 and the 6. You can always use something like this, while we like them slimmer.